View More In Nutcrackers - Page 3. 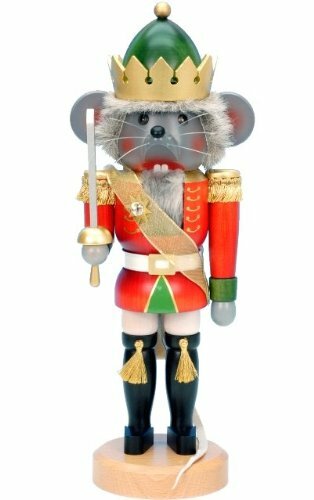 The Mouse King nutcracker is another famous figure from the Nutcracker Suite. He will soon come to life and be ready to battle with the Soldiers. He is made of wood - hand-painted and imported from Ulbricht/Seiffener factory in Germany.